Daniel Sell of Melsonian Arts Council (who publishes the Undercroft fanzine and has previously successfully Kickstarted the adventures Crypts of Indormacny and Fever Swamp) is looking for Patreons to help him develop the full edition of Troika. I’ve got a copy of it, and a very simple appreciation of it is that it is a grown-up version of Fighting Fantasy on LSD. It’s like the Russ Nicholson pictures have come to life!!! 🙂 In fact, if my scrambled brain can remember, you can actually play a Rhino Man (as seen casually guarding the gate in the FF classic Citadel of Chaos). Interested? go check out the current edition (artless version is free). Want to see this small seed bloom into something big and malevolent? Then back David’s Patreon….see his blurb below. I’m Daniel Sell and I make role-playing books. Troika! is my latest effort, already released in a limited form. It is a game about lost people traipsing across the hump-backed sky, meeting curious folks in curious places and moving ever rimward. While slim, the current iteration of the game has been met with praise and heralded as something that definitely exists, written and illustrated with good strong hands. The mechanical aspects of Troika! are robust, reminiscent of the gaming hinterlands of 80s Britain, flexible and self-effacing with nothing to prove. Characters are generated from vast lists of randomly chosen options, thrusting you directly into the world with no time for a haircut. They are very important. Feel free to read them for yourself. People like these lists, I like these lists, but books are small or expensive. In the first instance of Troika! it was small, the second will be expensive. Beyond writing, I also publish, which means the onus to pay for art and printing falls on me. Since I do not have the double-edged benefit of an external money-man I must ensure the survival of this work myself. Now we turn our faces towards the necessary demon of crowdfunding, as we have done from time to time, in order to do what needs doing. 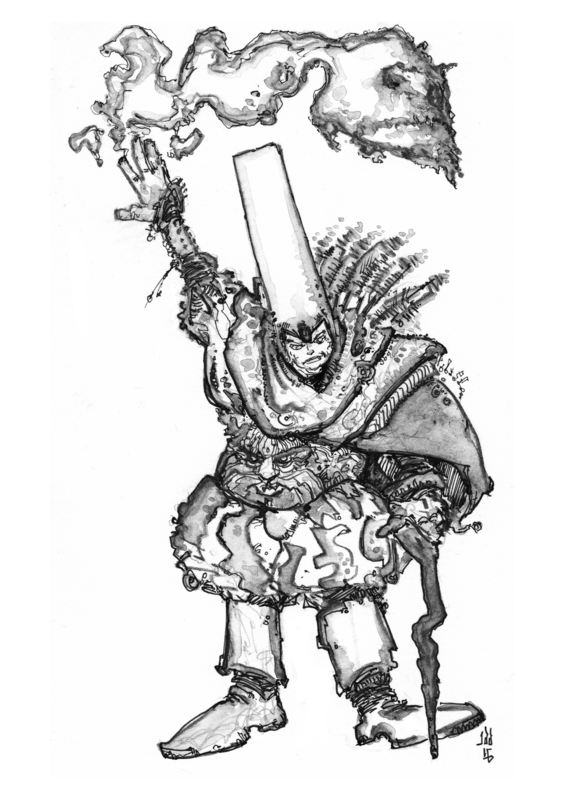 This entry was posted in Fighting Fantasy by Newt. Bookmark the permalink.